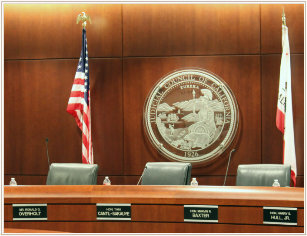 San Francisco—The Judicial Council of California will hold its second public business meeting of the year from 10:00 a.m. to 2:35 p.m. on Tuesday, February 28, 2012, in the Judicial Council Conference Center, Hiram J. Smith State Office Building, Third Floor, Ronald M. George State Office Complex, 455 Golden Gate Avenue, San Francisco. Chaired by Chief Justice Tani G. Cantil-Sakauye, the council is the administrative policymaking body of the California courts. The meeting will be audiocast live, and the agenda and reports are now posted online. A summary of the reports on the discussion agenda follows. Ethics Standards for Neutral Arbitrators: Anyone serving as a neutral arbitrator under an arbitration agreement is required to comply with ethics standards adopted by the Judicial Council under Code of Civil Procedure section 1281.85. The council will consider amendments to the ethics standards in response to recent appellate court decisions. Among other things, the amendments would clarify required disclosures about associations in the private practice of law and other professional relationships between an arbitrator’s spouse or domestic partner and a lawyer in the arbitration. Status Report on CCMS and Phoenix Financial System: The Judicial Council will consider an annual report on the Status of the California Court Case Management System and the Phoenix Program 2011. Government Code section 68511.8(a) requires that the Judicial Council annually report to the Legislature on CCMS and the Court Accounting and Reporting System, now referred to as the Phoenix Financial System, until both projects are completed. Consent Agenda: Fifteen proposals on the consent agenda concern changes to rules and forms required by recently enacted legislation and otherwise recommended by council advisory committees. One report proposes additions and revisions to the Judicial Council’s Criminal Jury Instructions. The consent agenda also includes several annual reports required by state law on local courthouse construction funds, electronic recording equipment, court reporter fees and equipment, special fund expenditures, and California’s Access to Visitation Grant Program. The final audit report of the Superior Court of Riverside County also is on the consent agenda.